Typing on our Android smartphones is perhaps the most or at least one of the most Important feature / function everyone uses daily. 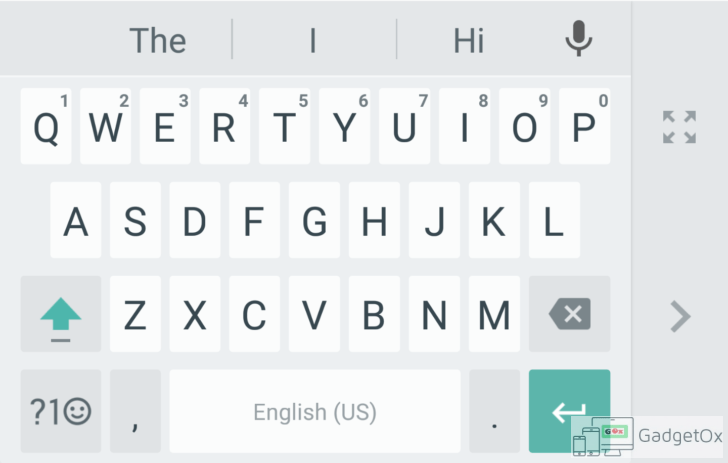 While the native Android Keyboard is good, we can always enhance our typing experience by using third-party Keyboards available in Google Play Store. Here, we have made a list of Top 5 Android keyboard that may be really the best out of the lot. SwiftKey Keyboard uses Artificial Intelligence to automatically learn your writing style, including the emoji you love to use (if you use emoji), the words that matter to you and how you like to type. That means auto-correct and predictive text that actually works because it adapts to you. SwiftKey Keyboard caters for all typing tastes – all colours, designs and themes. Support for 100+ languages. Tapping or swipe-to-type. Tonnes of emoji (smileys, emoticons). No emoji. Or emoji keyboard predictions learned from how you’ve used emoji before. Google Keyboard makes typing fast and easy with gesture and voice. Glide through letters with Gesture Typing to enter words – just lift your finger to finish a word and gesture again, no spacebar required. Compose text on the go with Voice Typing. When you can’t find the right words, express yourself with hundreds of perfect emoji. Works on all your Android devices. • Voice Typing: Touch the microphone to simply dictate your text. • Word completion suggestions, automatic corrections and next-word prediction based on the words that you have typed. • Emoji: Press and hold Enter to choose from hundreds of emoji in any app (Android 4.4+). • Sync your learned words across devices to improve suggestions: To turn on keyboard syncing, go to Settings → Language & input → Google Keyboard → Dictionary → Sync learned words. • Gesture cursor control: Slide your finger across the spacebar to move the cursor. • Symbols hints: Show quick hints on your keys to access symbols with a long press (enable in Google Keyboard Settings → Preferences → Long press for symbols). • Fast symbols: Gesture from the “? !☺” key to temporarily switch to the symbols keyboard and insert a symbol. • Fast capitalisation: Gesture from the SHIFT key to a character to capitalise it. • Choose a layout with or without key borders to suit your style. TouchPal Keyboard is a free Keyboard for Android phone that helps you to type fast and easy with curve and prediction. Besides, users can fast input over 1000 emoji, emoticons, smileys and text faces conveniently everywhere. – Input Emoji, Emoticons and smileys anywhere conveniently. – Colorful themes: 100+ Colorful Themes available and DIY your own theme. – Text face ( ͡° ͜ʖ ͡°), (ʘ‿ʘ). Do let us know in comments if you think that other Keyboards can also be part of this list and we will include them too.